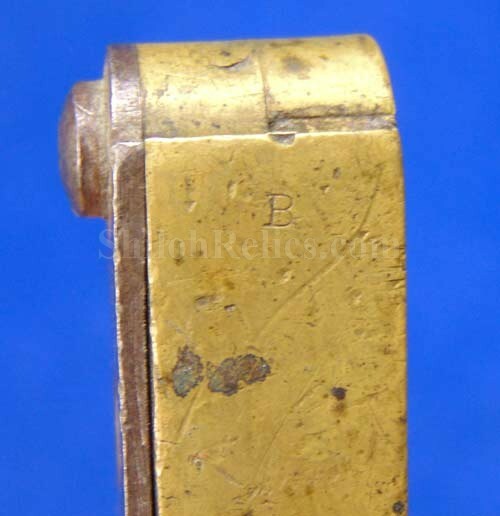 This is a nice original .36 caliber Civil War era brass bullet mold. This is the one for the famous Colt Firearms Company revolver. 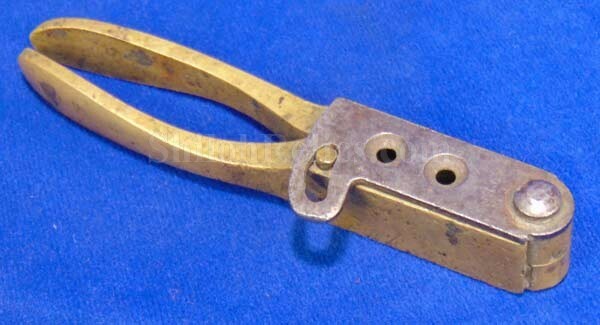 It has the very clear "COLT’S PATENT” makers mark on the top of the sprue cutter. 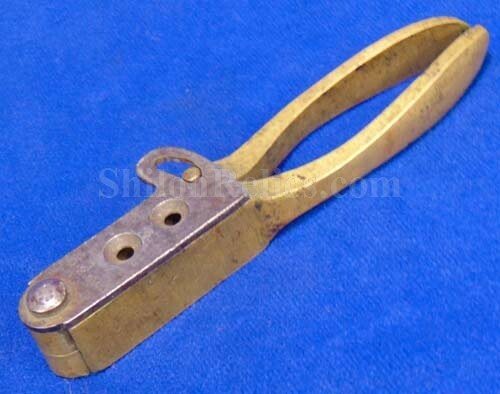 The sprue cutter is present and still fully functional. 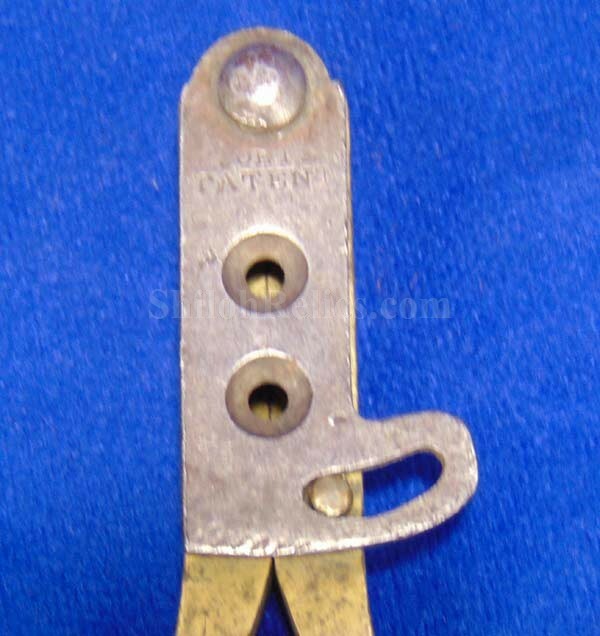 The screw has been replaced with a brass pin that does just what it is supposed to do. It still opens and closes nicely and would cast a bullet even today. 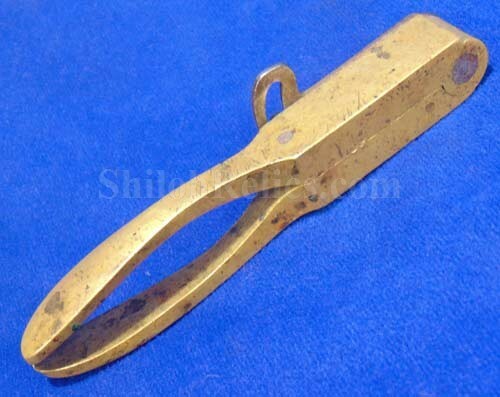 The mold itself makes one round ball and one conical bullet, both in .36 caliber. On the right hand side of the mold, it has the "B" stamping. 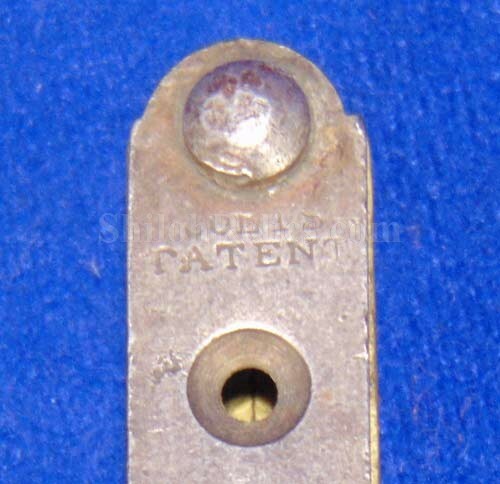 This is a nice original Colt Firearms Company bullet mold.